With crime rates on the rise in the Spokane area, how can homeowners be sure that their homes, belongings, and even themselves will be safe? There are many home security systems available that will help reduce risks dramatically. Let’s look at some examples. Given this information, the top priority of any home or business owner naturally would be to purchase a well-functioning security system. But what kind of system works best? Of course, that depends on the type of structure and the level of protection you need, but the most important thing to focus on when looking for a security system is monitoring. If the equipment catches a perpetrator in the act, the proper authorities need to be contacted and dispatched as soon as possible. So how do systems accomplish this? Some systems use a telephone landline to send a signal to the monitoring center. Once the alarm is triggered, the monitoring center verifies that it is indeed a real emergency and not a false alarm. Emergency personnel are immediately notified. There are also systems that use a cellular phone uplink which sends messages faster and does not rely on wires. You can even hook up a security system through your broadband Internet connection for a fast, less expensive way of contacting authorities in case someone sets off the alarm. When people think about electronic solutions these days, their minds naturally turn to smartphones, and security is no exception. 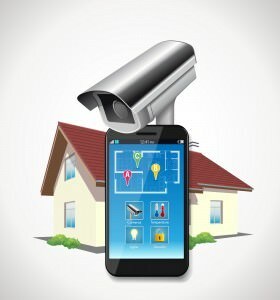 Home automation is becoming a popular choice to protect a person’s house and valuables. With a smartphone or other Internet-ready device, you can monitor your home even when you’re away. You can use it to turn the system on or off. Additional features include controlling your home lighting and thermostat, and even watching footage from security cameras. Different home security systems allow for varied options on what you want or need to control remotely. Modern security systems generally come with options that let you lock or unlock doors, keep track of water and flood sensors, see which doors and windows are open, and so on, all via mobile access. Most importantly, you can receive alerts and notifications in real time, so you can take action right away. You can’t be too careful when living or doing business in the Spokane, WA area. With many different types of security systems on the market today, it’s important to do your homework and compare features carefully. Finding the right one, no matter what the price, will surely pay off in the long run. Let Allied Fire & Security’s professional security consultants do the work for you. Just give us a call today at 866-885-3250 to schedule a free site survey. They will take a look at your home or business and offer recommendations based on your needs. Be proactive and purchase a security system before something happens.